Renewable energy is growing exponentially in the United States. Tens of thousands of megawatts (MW) of wind and solar are boosting rural and urban economies across the country. But most clean energy projects fail to maximize the economic benefit to the communities and states where they are located by ignoring the value of local ownership. The rewards of maintaining local control and ownership are substantial. Locally-owned wind projects create an average of twice as many jobs as absentee-owned wind projects. And the total economic value to the community of locally-owned projects is 50 to 240% greater, as well. 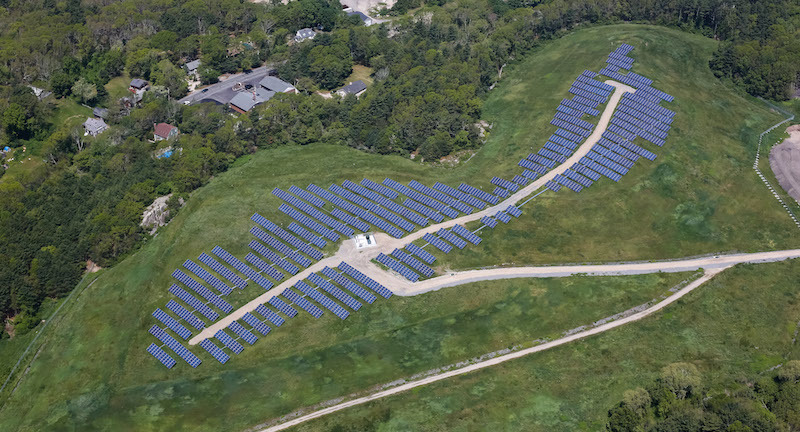 This entry was posted in Nebraska / Midwest News, NewsBlog and tagged Institute for Local Self Reliance (ILSR), John Farrell, local ownership of renewable energy projects, Nebraskans for Solar on September 30, 2014 by Helen Deffenbacher. A pair of Iowa studies found that both utilities and their customers in small towns can substantially cut costs if they invest in deep efficiencies and, to a lesser extent, in renewable sources of generation. The analyses, done by energy consultant Tom Wind and the Iowa Association of Municipal Utilities with some funding from the Iowa Economic Development Authority, explored whether the communities of Bloomfield and Algona could become energy independent. The conclusion: in about 15 years, Bloomfield could get to net-zero — generating as much energy as it consumes over a year — but not necessarily always at the times needed. Algona could get about half that far, cutting current electricity use by about 50 percent. 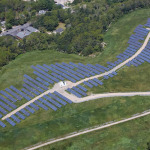 This entry was posted in Energy Conservation, NewsBlog, Research and tagged energy-independent communities, Iowa Association of Municipal Utilities, Karen Uhlenhuth, Midwest Energy News, Nebraskans for Solar, net-zero communities, Tom Wind on September 29, 2014 by Ken Deffenbacher. This entry was posted in NewsBlog and tagged installing solar on landfills, leasing versus purchasing solar panels, Nebraskans for Solar, Senator Wyden on September 22, 2014 by Helen Deffenbacher. The Obama Administration is committed to taking action to combat climate change. As part of that effort, today, the White House is announcing a series of public and private sector commitments and executive actions to advance solar deployment and promote energy efficiency. • Harmonizing the power of national service and volunteerism to tackle climate change and its effects. Additionally, 50 companies, states, communities, and multifamily housing leaders from across the country are announcing commitments to deploy onsite solar energy and improve energy efficiency. The commitments represent more than 35 megawatts of solar deployed – enough energy to power thousands of homes – as well as energy efficiency investments that will lower energy bills for more than 400 million square feet of buildings. Earlier this year, the White House hosted a Solar Summit celebrating cross-sector leadership on solar and calling for commitments to support solar deployment and jobs through the expanded use of solar in our homes, businesses, and schools. Today’s announcements illustrate the progress our towns and businesses have made since the White House made this call for commitments. When combined with the announcements President Obama made in May, they represent more than 350 private and public sector commitments to deploy 885 megawatts of solar and improve the energy efficiency of more than 1.4 billion square feet of buildings. Since the President took office, America has increased its electricity generation from solar more than ten-fold. In 2013 alone, the price of commercial and residential solar declined by more than 12 percent. This is driving more and more Americans to install solar panels at their homes and businesses, and is supporting tens of thousands of solar jobs across the country. In fact, in the first half of 2014, more than half a million homeowners and commercial customers installed solar. We are also making progress cutting energy waste. Since 2009, the U.S. Department of Energy (DOE) has already put in place appliance efficiency standards that will save American consumers more than $450 billion on their utility bills through 2030. Today, the White House is announcing a series of executive actions that will create jobs, reduce carbon pollution, and improve energy efficiency. These actions reinforce American leadership in innovating and deploying clean energy and cutting energy waste. • Building a Skilled Solar Workforce: To continue to build a skilled solar workforce, DOE’s Solar Instructor Training Network is launching a veterans’ job training pilot project at up to three military bases this fall. The pilot project will connect a talented Veteran population with DOE’s extensive network of more than 400 community college-based solar training institutions. The network will assist at least 50,000 highly-qualified new solar installers to enter the industry by 2020. • USDA Awards Loans and Grants for Renewable Energy, Energy Efficiency Improvements: The U.S. Department of Agriculture (USDA) Secretary Tom Vilsack is announcing USDA is investing $68 million in 540 renewable energy and energy efficiency projects nationwide, including 240 solar projects. The funding is being provided through the Rural Energy for America Program (REAP) which offers financial assistance to farmers, ranchers and rural small businesses to purchase and install renewable energy systems and make energy efficiency improvements. • Improving Appliance Efficiency: DOE is issuing a proposed energy efficiency conservation standard for commercial unitary air conditioners, which are commonly used for space conditioning in commercial and industrial buildings. If finalized as proposed, this standard will save 11.7 quads of energy over the lifetime of units shipped over 30 years. That is equivalent to more than half of all the residential energy used in one year, making this potentially the largest energy savings estimated for any efficiency standard issued by DOE to date. If finalized, it would also help cut carbon pollution by more than 60 million metric tons, and could save consumers nearly $10 billion on their energy bills through 2030. This year, DOE has issued seven final energy conservation standards, and when combined with the final rules already issued under this Administration, they will get us more than two-thirds of the way to achieving the President’s goal of reducing carbon pollution by at least 3 billion metric tons cumulatively by 2030. • Strengthening Building Codes: In May 2014, DOE preliminarily affirmed that industry’s latest commercial building code – the ANSI/ASHRAE/IES Standard 90.1 – 2013 – provides more energy savings than the previous Standard. Today, DOE is issuing the final determination for this action. Additionally, DOE is issuing a preliminary determination that the latest residential building code – the 2015 IECC – provides at least the same energy savings as the 2012 version. The updated ANSI/ASHRAE/IES code will help states and the Federal government save money and energy on building operations and cut emissions by 230 million metric tons of CO2 through 2030. Improved codes for residential and commercial buildings have already saved U.S. homes and businesses $44 billion on their energy bills, and today’s action builds off of this progress. • Federal Programs Supporting Clean Energy and Efficiency in Affordable Housing: The U.S. Department of Housing and Urban Development (HUD)’s Community Planning and Development (CDP) office is affirming that under current guidelines, Section 108 funding can be used for clean energy and energy efficiency projects. To support local communities in utilizing this and other funding, HUD is creating a renewable energy toolkit for use by Community Planning and Development grantees. The toolkit will provide program compliance information, tools, and capacity to integrate renewable energy components such as solar photovoltaic, solar hot water, and cogeneration in an efficient, cost-effective, and impactful way by using CPD funds, such as the Community Development Block Grant Section 108 program. The toolkit will be finalized and available for use in early 2015. • Prioritizing Energy Efficiency in Service Projects to Reduce Poverty: This month, the Corporation for National and Community Service will release their AmeriCorps VISTA Program Guidance, which directs the development of new VISTA projects and outlines the national programming priorities for the VISTA program for the fiscal year. For the first time, energy efficiency and climate resilience will be two of the factors used when selecting anti-poverty service projects in low-income communities. • Improving Access to Federal Resources: DOE is launching Solar Powering America, available at solar.energy.gov, a one stop shop that will provide access to a wide range of Federal resources to drive solar deployment. The website will also be used to highlight and track private sector commitments to install distributed solar. • Convening Key Players to Drive Investments in Solar: The White House will host a roundtable discussion in October on how to facilitate increased capital flows into the solar market through measures such as the collection of performance data and the standardization of contracts and risk assessment tools. The meeting will bring together senior advisors from the White House and DOE, solar developers, investors, ratings agencies, and other relevant experts. • Driving Federal Procurement of Solar: In April, the Administration launched a Capital Solar Challenge, directing Federal agencies, military installations, and Federally-subsidized complexes to identify opportunities to deploy solar energy at Federal locations across the National Capital Region. As part of the Capital Solar Challenge’s private sector outreach, the General Services Administration (GSA) will host an Industry Day on October 23, in Washington D.C. to perform market research and answer developers and investors questions about GSA’s procurement approach. The GSA Contracting Officer and Leadership will be present to discuss the Agency’s strategy for deploying solar in the National Capital Region and for using solar to help meet Federal renewable energy goals with industry. This entry was posted in NewsBlog and tagged DOE's Solar Instructor Training Network, Nebraskans for Solar, new HUD funding for clean energy and energy efficiency projects, President Obama's Executive Actions to Advance Solar Energy & Energy Efficiency, Rural Energy for America Program (REAP), Solar Powering America, strengthening America's building codes to save energy on September 20, 2014 by Helen Deffenbacher. This report, prepared by The Solar Foundation (TSF), is the first-ever assessment of K-12 solar schools throughout the United States. It shows how these schools are reducing their utility bills by installing solar energy and how 70,000 more schools that haven’t yet taken that step can benefit. “Solar enables schools to save money, enrich learning and keep teachers in the classroom – all while providing local jobs and generating emissions-free electricity,” said Andrea Luecke, President and Executive Director of The Solar Foundation. “With five times as many solar schools today than in 2008, it is clear that the solar schools movement is gaining momentum and providing kids with the greatest benefits,” Luecke added. • There are 3,752 K-12 schools in the United States with solar installations, meaning nearly 2.7 million students attend schools with solar energy systems. • The 3,752 PV systems have a combined capacity of 490 megawatts (MW), and generate roughly 642,000 megawatt-hours (MWh) of electricity each year, which represents a combined $77.8 million per year in utility bills – an average of almost $21,000 per year per school. • Despite this promising progress, solar potential remains largely untapped. Of the 125,000 schools in the country, between 40,000 and 72,000 can “go solar” cost-effectively. This entry was posted in NewsBlog, Research, Solar Schools and tagged Andrea Luecke, National Solar Schools Census, Nebraskans for Solar, solar schools in the United States, The Solar Foundation (TSF) on September 20, 2014 by Helen Deffenbacher.